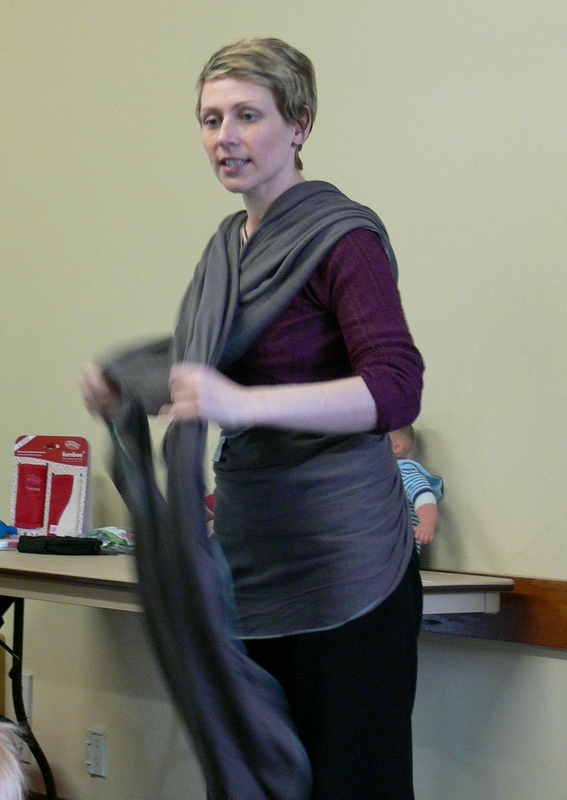 (Images top – bottom: Helen demonstrating a pouch sling (hip carry with a toddler); Jess demonstrating a woven wrap with ‘Scary’ the demonstration doll; Rebecca demonstrating a stretchy wrap; Helen demonstrating a Mei Tai with a sleepy toddler; Rebecca demonstrating a back carry with a soft-structured carrier). 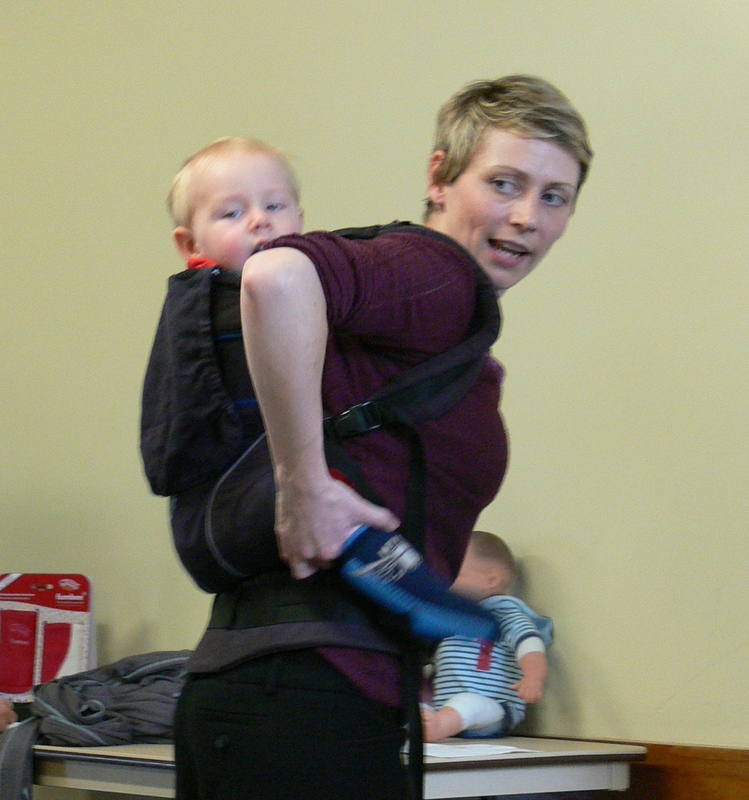 We also enjoyed drawing winners of the products donated by the generous New Zealand Babywearing Week sponsors!! 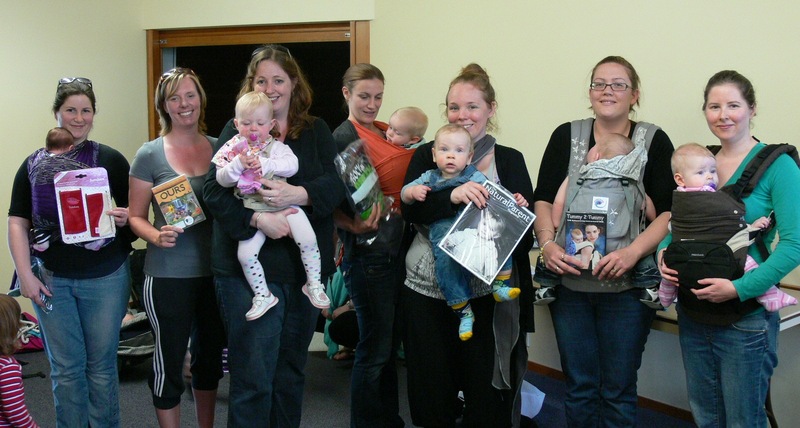 The lucky winners are pictured below with their loot – fumbee shoulder strap protectors, Manduca front pouch, The Natural Parent magazines & a 1yr subscription, Rockin’ Green laundry detergent, OURS DVD, Tummy2Tummy Babywearing Instructional DVD and Huggalugs leg warmers. A big thank you to the sponsors! 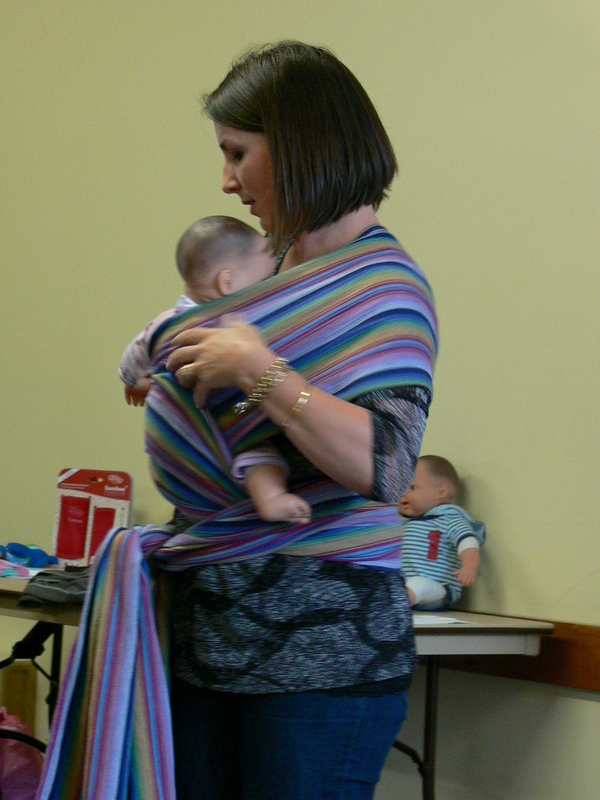 Babywearing North Shore meets on the 2nd Tuesday of each month for a workshop style meeting, and the 4th Tuesday of each month for a coffee group meet up. 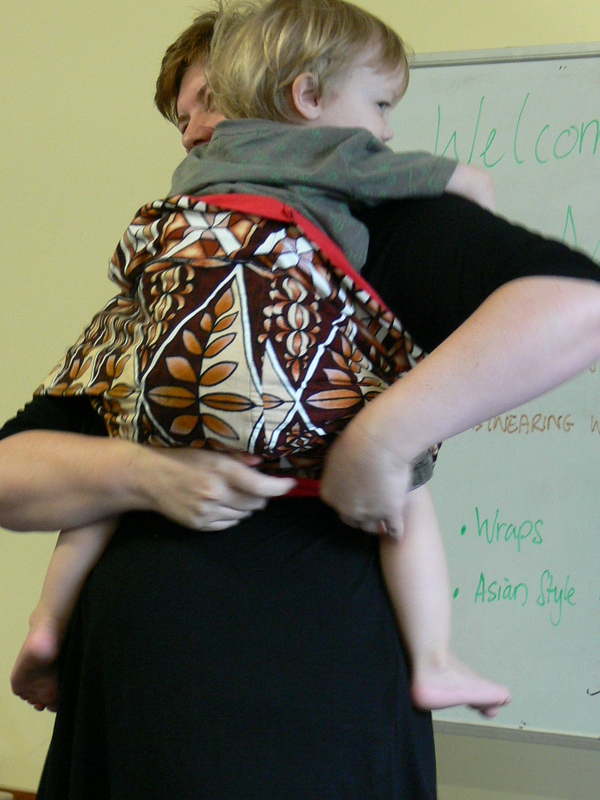 For more information visit the Babywearing North Shore Facebook page or the Babywearing North Shore blog. 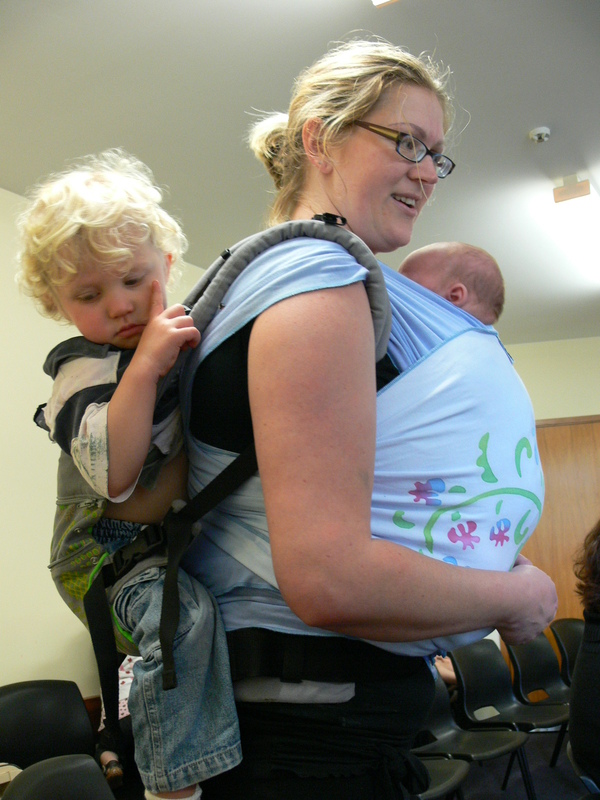 This entry was posted in New Zealand Babywearing Groups and tagged baby slings, babywearing, babywearing group, Babywearing North Shore. Bookmark the permalink.